SAVE THE DATE! Join us at Bissell’s Hideaway Saturday June 15th, 2019 from 10am to 3pm for a fun-filled time. Our club is so pleased to have 2 new members joining us. 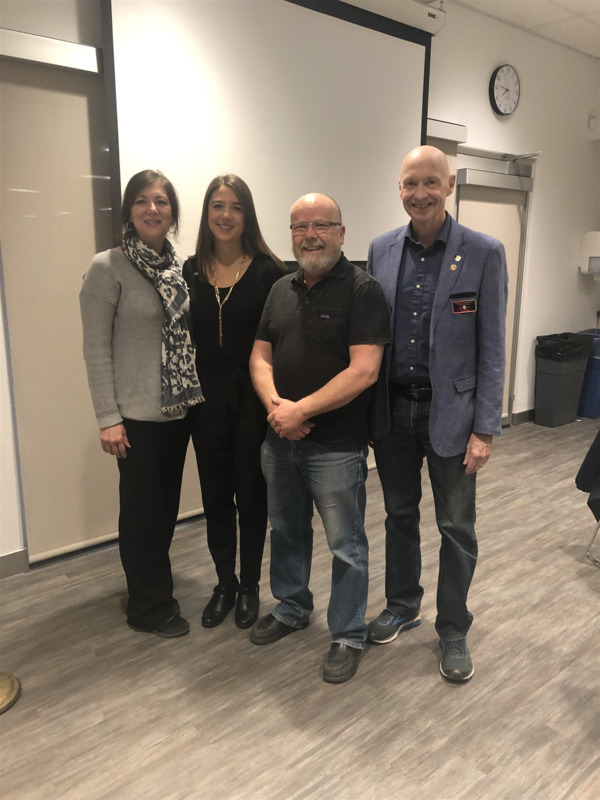 Pictured are Sponsor Angela Carter with Rotarian Meghan McNaughton ND and Sponsor Frank Adamson with Rotarian Dave Schulz. We look forward to their energy and fresh ideas. 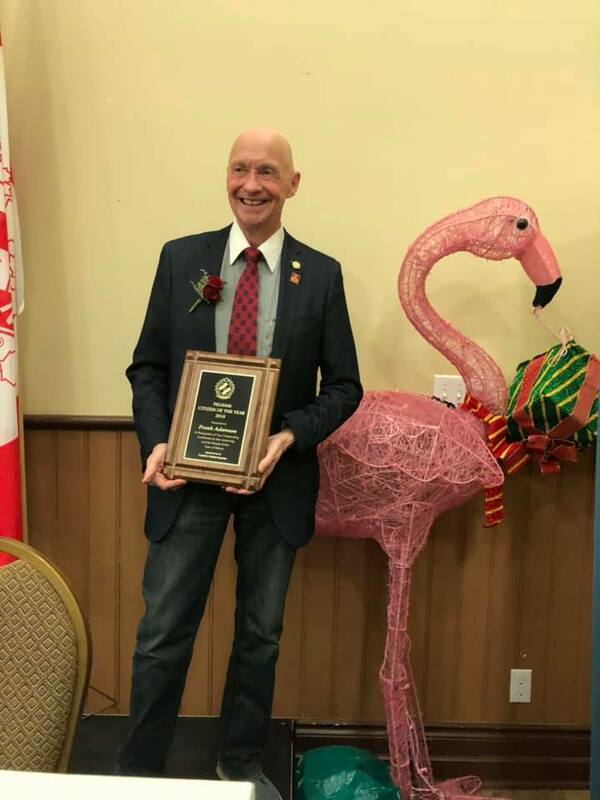 Last night, we celebrated our very own DGE Frank Adamson being recognized for the much deserved award of Kinsmen Pelham Citizen of the Year 2018. 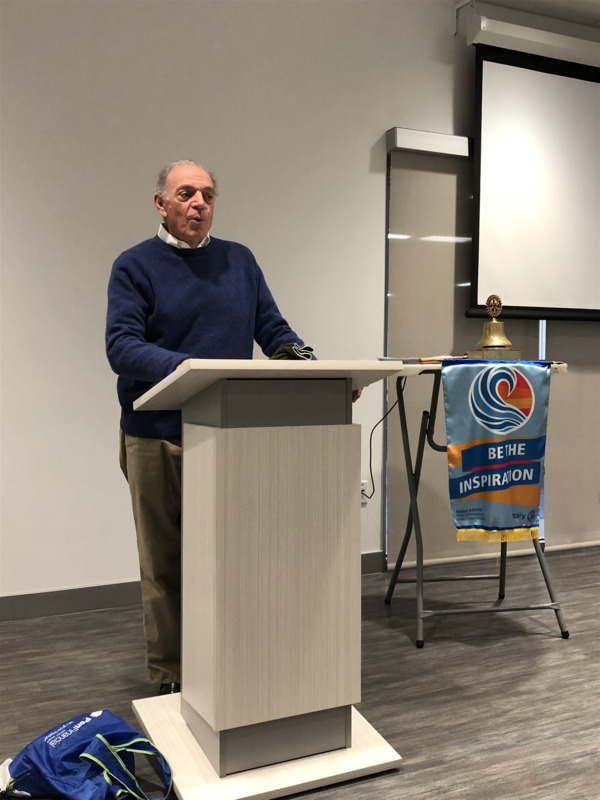 Frank lives by our Rotary motto "Service Above Self" every day. 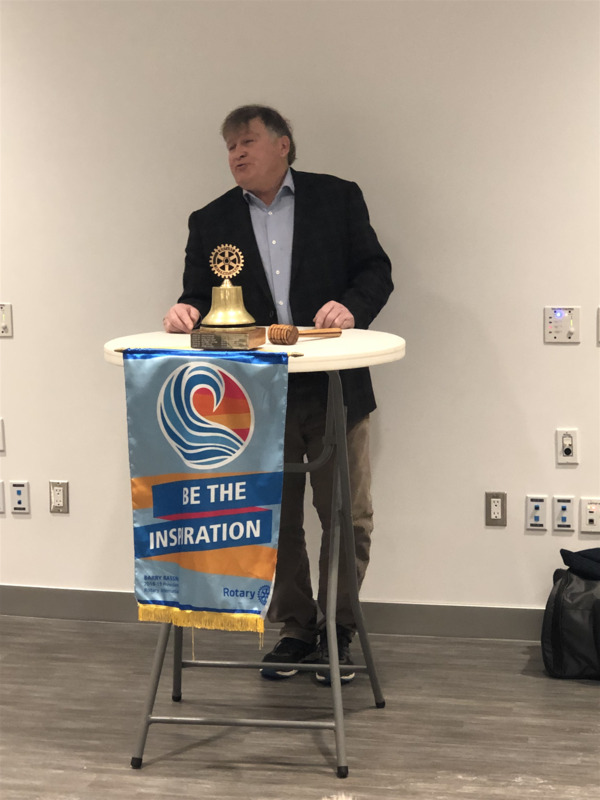 Our club and Rotary International are so fortunate to have him leading by example. A local Beaver is working to reach Scout's highest honour, the North Star Beaver Award. Harry Seppala, 7, is raising funds to support the Annual Christmas Hamper Campaign for Pelham Cares. He and his Dad, David were our guests on Wednesday morning. 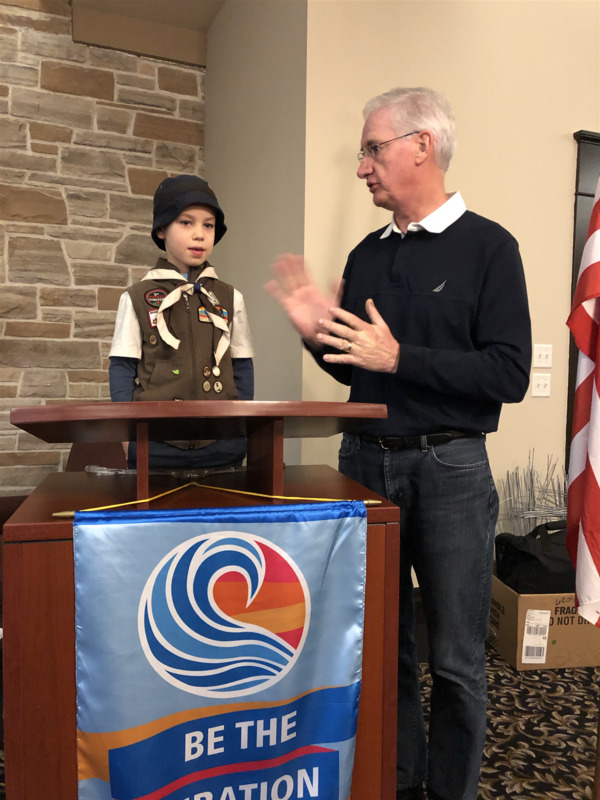 Harry shared his passion and fundraising story with our Club. Shown standing on a chair is Beaver Harry Seppala and Club Past President Paul Allen. The town lit Pelham Arches blue and gold on Oct 24 in honour of World End Polio Day. Polio may seem to be a disease of yesteryear to North Americans, but in truth, around the globe, it is not. 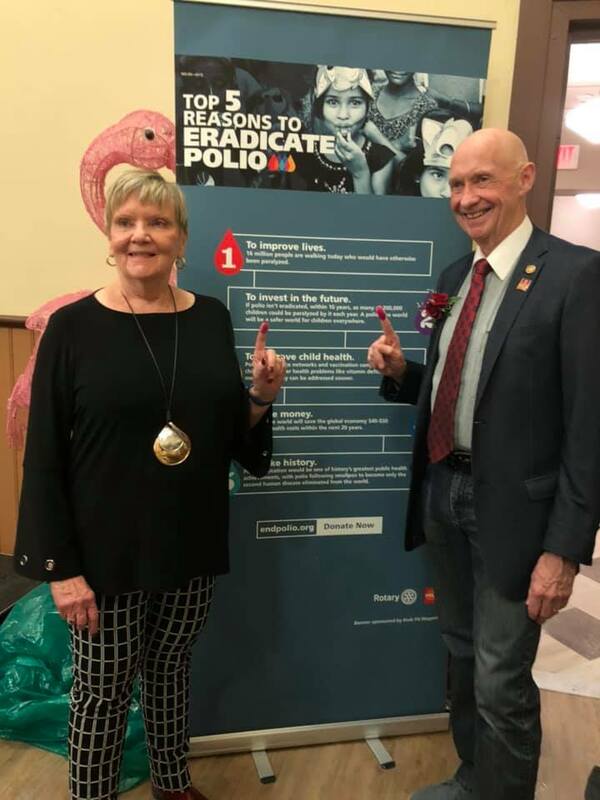 Rotary International’s efforts have come so far in the past few decades to completely eradicate polio from the world, yet a few countries still report a handful of new cases each year. 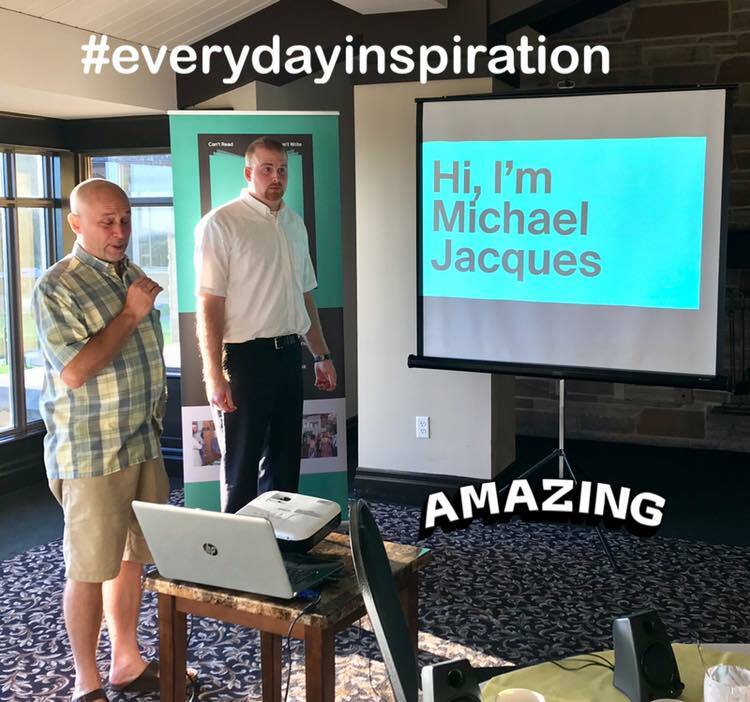 With these four words our guest speaker this morning (along with dad Marcel) blew us away with his story of overcoming adversity to become a community leader. Have you read his book yet? If not, you should! “Can’t Read, Can’t Write, Here’s My Book” available now at Fonthill Sobeys and online through Apple books. 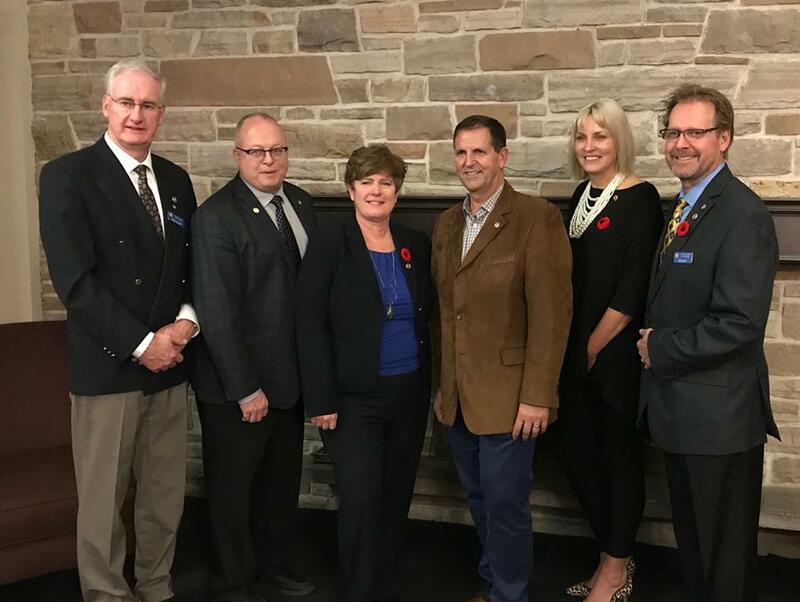 Rotary Club of Fonthill in partnership with the Welland Pelham Chamber of Commerce hosted a Meet and Greet for all candidates running for Council, Regional Council, School Boards and Mayor on Tuesday night at the Fonthill Legion followed by an informative debate with the three Mayoral Candidates. Dr. David Siegel of Brock University moderated the debate with fair and thoughtful questions from the public. 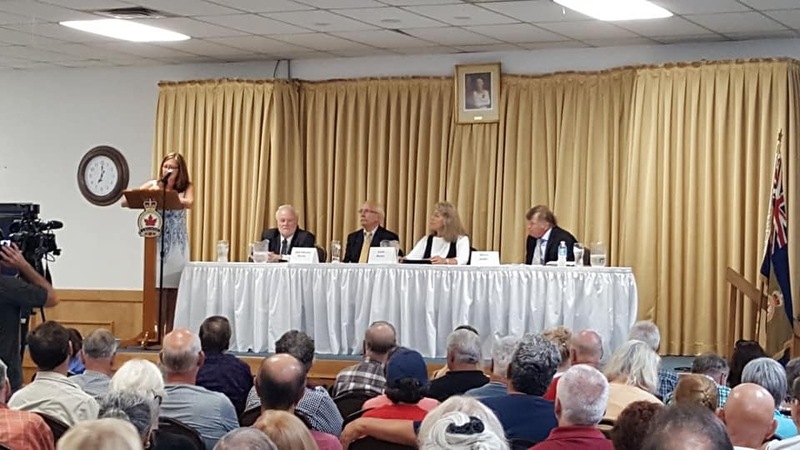 Three questions were provided to the candidates one week prior to debate and included asking what the biggest issue is facing the Municipality, how to restore integrity at the Region and what personal and professional experiences would make them an effective Mayor. These were followed by eight questions from the floor covering topical municipal issues such AirBNBs, marijuana farms, town debt, downtown revitalization and the Fonthill Bandshell. We encourage everyone to take advantage of all avenues available to get to know the candidates running for municipal election and equally importantly, get out and vote on Oct 22. Thank you to Your TV/Cogeco, who were on hand to record the evening and have it posted on their website (https//www.yourtv.tv/niagara). It will also air on Cogeco on Wednesday, Sept 26 at 9:30pm. 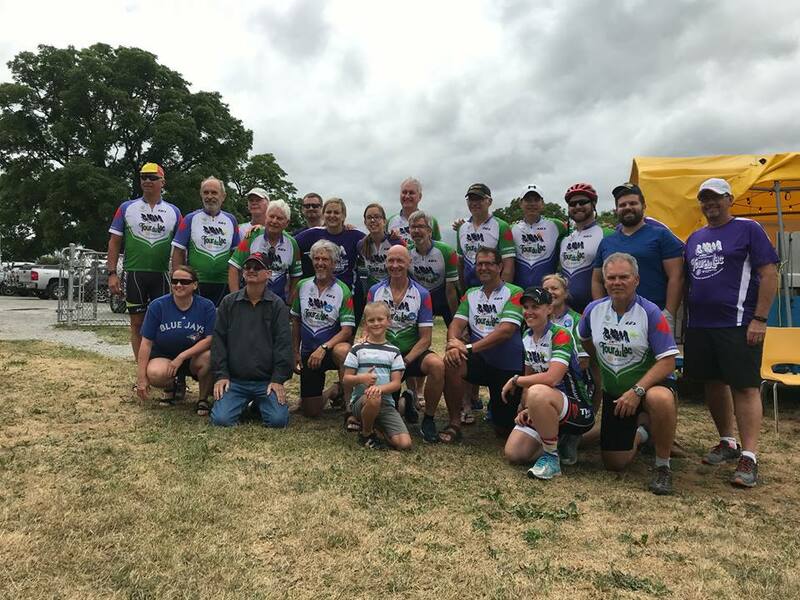 Welcome Home and Well Done Tour du Lac Cyclists! Thanks to Annie for taking and recording notes! The Rotary Club of Fonthill is excited to announce that we have presented a cheque for $8000 to Big Brothers Big Sisters South Niagara at our weekly morning meeting from Niagara Mudfest Challenge proceeds. We could not have done this without the very generous support of our sponsors, Bissell’s Hideaway, Pen Financial Fonthill Branch, RBC Dominion Securities, Welland Honda, Sobey's Fonthill, Zavcor Trucking, Boggio Family of Pharmacies, Tim Horton’s Fonthill, Contour Foot Care, Pelham Volunteer Firefighters, Station 3 and Kwik Fit Niagara. 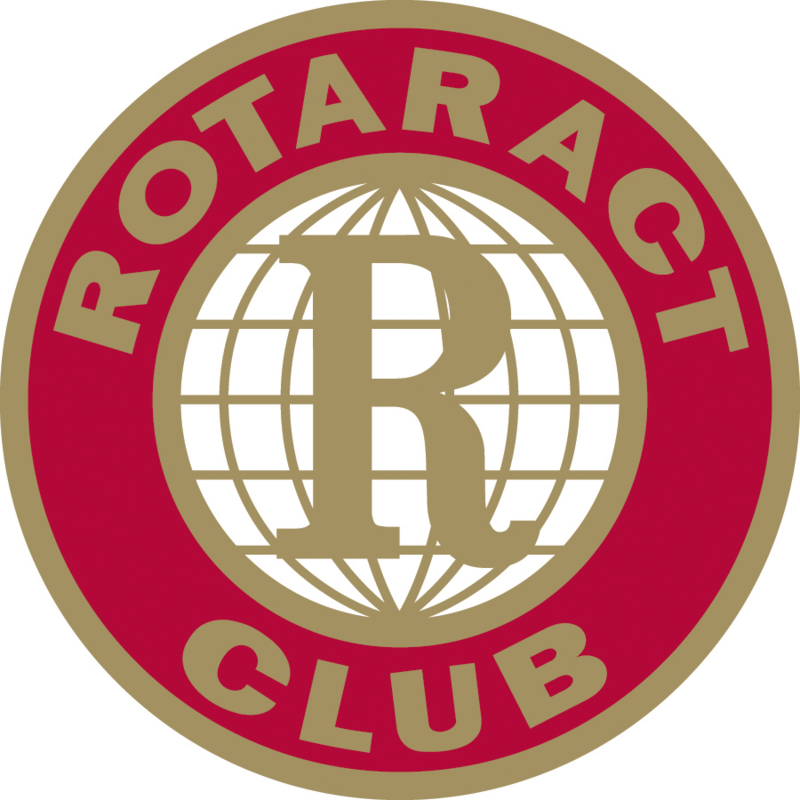 The Club also presented a cheque for $1,000 to the Rotaract Club of Niagara in recognition of their volunteer labour. After 6 years of dirty mud fun, this is the last Mudfest Challenge. 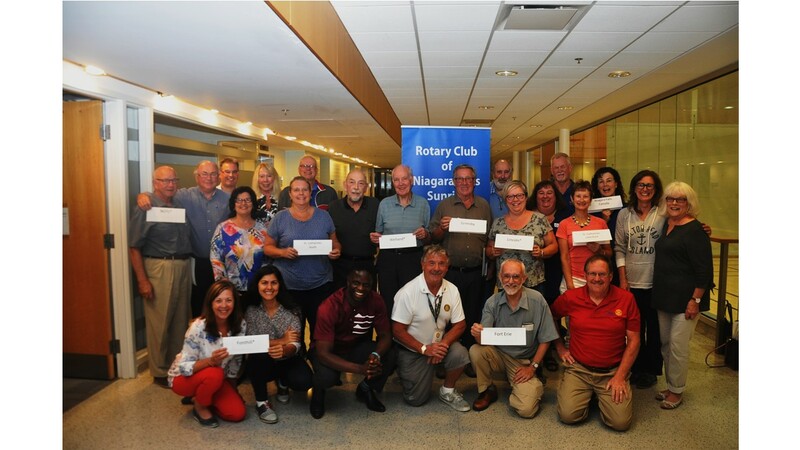 Major donations have also previously been made to Pelham Cares, Wellspring Niagara and End Polio Now Campaign. The course was all set at Bissell's Hideaway, there was mud aplenty, the warm weather cooperated, coffee and Timbits had been delivered for the 320 Mudfest registrants! Amazing support was secured from the corporate, community and public sector. Nearly 100 fantastic volunteers stepped forward to help us again making sure Mudfest was safe and FUN! Proceeds will be presented to Big Brothers and Big Sisters of South Niagara and used to support our Club’s Youth programming. Many thanks to everyone for again making Mudfest a HUGE community success! 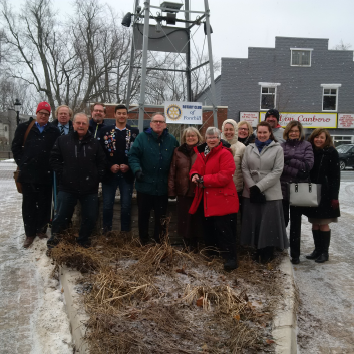 On April 23, members of the Rotary Club of Fonthill joined current and former staff, along with students and community members for a special tree planting at E.L. Crossley Secondary School in Fonthill. Members of the school’s Interact Club and teaching staff spent time honouring the memory of Sharon Keller, a special science teacher who passed away suddenly last fall. A teacher at the school since the beginning of her career in the mid-1980s, Ms. Keller (as she was known to her students) was much more than an amazing educator; she was an environmental leader and tireless promoter of all things science and technology. Thank you our new Gold Sponsors! The Welland Honda/Carstar team, led by Clint Bowman, Lori Zanth and Chris Merritt, are excited to partner with the Rotary Club of Fonthill at the Niagara Mudfest Challenge on May 5th this year. Numerous staff have said they are ready and raring to go at the annual Niagara Mudfest to be held at Bissell’s Hideaway in Fonthill. Mudfest is the most important Rotary event of the year helping to raise funds and awareness for Big Brother Big Sisters of South Niagara. Formerly known as the Pelham Mudfest, the Niagara Mudfest Challenge is less than three weeks away. Keen Mudfesters ages six and over are asked to go to our website at niagaramudfest.com and sign up on Eventbrite today. Don’t miss out. Both the Women Trade Centre and the Youth Centre will benefit from their usage, as office administration and related skills and programs will now be more accessible to those in these programs. In particular, women returning to the workplace are taught how to complete their resume, do an online application for employment, as well as prepare for interviews. Rotarians Mel Groom and Barbara Bartholomew recently assisted new graduates with online applications, while mock interviews were held as well. Women enrolled in the office administration program at Niagara Peninsula Homes take part in a seminar on creating online applications. lusty rendition of the Canadian National Anthem. Time is often a challenge with businesses such as PenFinancial. 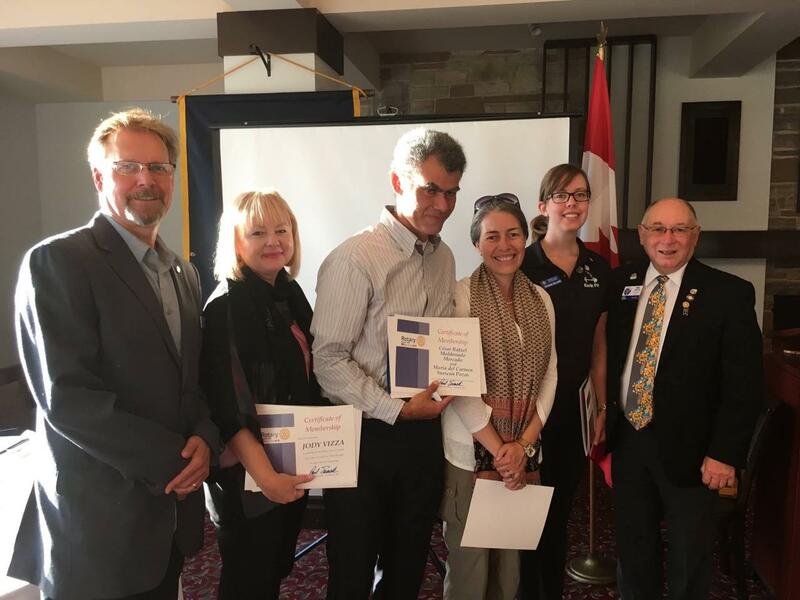 We recognize that and Rotary Club of Fonthill has responded, since this type of membership has been specifically tailored for busy individuals who find it difficult to commit to regular weekly attendance. Busy corporate members benefit greatly from accessing a Corporate Membership, enabling the team to share attendance, thus maintaining a regular presence at functions, breakfast meetings and volunteer events. every Wednesday at Lookout Golf Course. PenFinancial Credit Union’s Fonthill PenFinancial Credit Union’s Fonthill branch recently held its grand opening. Jody Vizza, Director ofBrand; and Kelly Sauriol, Branch Manager. While you're in Toronto, don't miss the remarkable views from the iconic CN Tower, one of the city’s most popular attractions. Whether you visit one of the tower’s three restaurants, test out the Glass Floor, or try the exhilarating EdgeWalk, you’re sure to have an experience to remember. Check out the convention’s Facebook event page to receive the latest updates. Early-registration savings end 15 December, so register today! From left to right are Paul Snack (Club president), Jody Vizza (Corporate Membership), Cesar Maldonado and Maria Pozas (Couple Membership) and Brianna Willard (Young Rotarian Membership) along with Governor Reg Madison.